For National Women’s History Month, the Mount Holyoke College Archives and Special Collections are showing an exhibit on female faculty in the sciences, from Lydia Shattuck, class of 1851, to Cornelia Clapp, class of 1871. The buildings named after them and the programs they developed continue to shape our learning in a tangible way, which makes their histories relevant and their lives worth studying. The materials and their accompanying feature on the Archives and Special Collections webpage also highlight famous Mount Holyoke alumnae in the sciences, such as Virginia Apgar ’29, Dorothy Hansine Andersen ’22 and Janet L. Mitchell ’72. Health & Science will feature one of these women for each of our March issues in observance of National Women’s History Month. The exhibit is in Dwight Hall. Dr. Dorothy Hansine Andersen (1901-1963), class of 1922, was an accomplished American pathologist, known for first recognizing cystic fibrosis as a disease and creating a test to help diagnose it. Andersen received a variety of awards for her work, including the E. Mead Johnson and Elizabeth Blackwell Awards, and was posthumously inducted into the National Women’s Hall of Fame in 2002. Andersen was born in Asheville, North Carolina in 1901 to Han Peter Andersen and Mary Louise Mason. Her father died when she was 13 and then her mother died six years later. Andersen supported herself financially while at Mount Holyoke, where she double-majored in chemistry and zoology. She then earned her M.D. from Johns Hopkins School of Medicine in 1926. While there, she published two papers in Contribution to Embryology describing the reproductive system of the female pig. Andersen completed a surgical internship position at Strong Memorial Hospital following her graduation, but was denied residency on the basis of her gender. Instead, she began working as a pathology assistant at Columbia with hopes of focusing on her own research. She soon became an instructor at Columbia while working towards a doctorate, which she received in 1935. 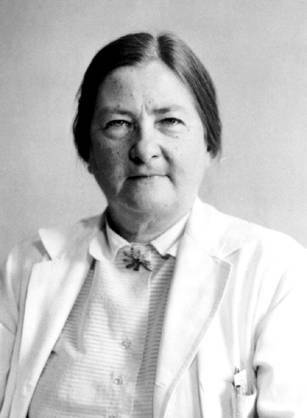 Andersen then took up a position as a pathologist at Babies Hospital in the Columbia Presbyterian Medical Center, where she completed the majority of her research. Following this discovery, Andersen focused her attention on diagnostic methods for cystic fibrosis. She and her team developed tests to diagnose the disease, one of which is still used today. Andersen’s research allowed for early discovery of the disease and enabled patients with cystic fibrosis to survive well into their early adulthood. In addition to being a groundbreaking pioneer in the health industry, Andersen defied traditional roles of women. She never married, had no children and described herself as a “rugged individualist…and a roofer and carpenter happy to make her own improvements,” according to the U.S. National Library of Medicine. People who knew her described her as “windblown,” and noted she held “glüg” parties in her lab, in recognition of her Scandinavian heritage. Bitcoin: What is it and why should we care?